Choosing a holiday which is going to please everyone can be a hard task; especially once the children start getting older! While some kids may love the great outdoors, with activities aplenty and boundless energy, others may just want to laze in the sun by the pool. Finding a holiday destination which is going to please the adults and the children is one thing – but it’s even worse when teenagers are involved! However, some destinations really do cater to the needs of the whole family; take a look at some of our favourites. Destinations with great attractions: one sure-fire way of getting the whole family excited about a holiday is making sure that there are enough attractions to keep everyone entertained whilst you’re away. If you’re looking for a trip which will leave you dizzy from all there is to do, why not try Orlando? Home to numerous theme parks, water parks and attractions, even the most apathetic teenager couldn’t fail to be wowed by what’s on offer. Younger children will be enchanted by their favourite cartoon and film characters in real life, too. Knowing that sometimes children want to chill outside the company of their parents, some hotels in Dubai have created ‘adult-free zones’ where older children can go. Offering computers, places to listen to music, alcohol-free cocktails and even dance nights, these grown-up kids’ clubs mean that parents can relax knowing the kids are keeping safe and having fun. Iif you want to show the kids somewhere awe-inspiring, why not take them to Australia? With the great sights like the Sydney Opera House, the Great Barrier Reef and Uluru, or Ayers Rock – the whole family is bound to be amazed. Whether you choose a beachside adventure near Sydney, or a relaxed exploration of Melbourne, you’re sure to introduce the kids to a whole new world ‘down under’. 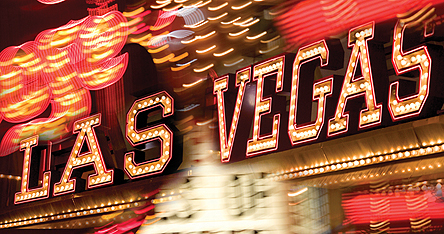 If you’re looking for a holiday which includes some fun for the adults too, why not consider a trip to Las Vegas?! Whilst those under 21 aren’t allowed in the casinos, older kids will still enjoy the bright lights of the Strip and the crazy events which occur; from light and fire shows, lions and tigers roaming the hotel floors or even a bungee jump off the side of a building! Once the kids have been tired out by the day’s excitement, a babysitter can watch them whilst the adults go to explore the casino tables and slot machines – the best of both worlds!